Summer has me blogging less, mommying more, moving to a new city after 13 years (wowza), annnnnd finishing up my book! What does this mean for the blog? I will be reposting interesting reads I've found helpful and writing some original pieces on some recent co-parentng endeavors. I found this little Belong To Where You Are board and adored its message. We all find ourselves in places we don't expect to be and sometimes wish we weren't at all. This does not change that we must own that place and time. As of lately, "belong to where you are" has meant soaking up every moment with my sweet daughter and being as intentional of a parent as I possibly can be. Kiddos aren't little forever and I don't want to miss moments. That's where I'm at and what you can expect from the ol blog for the next month. 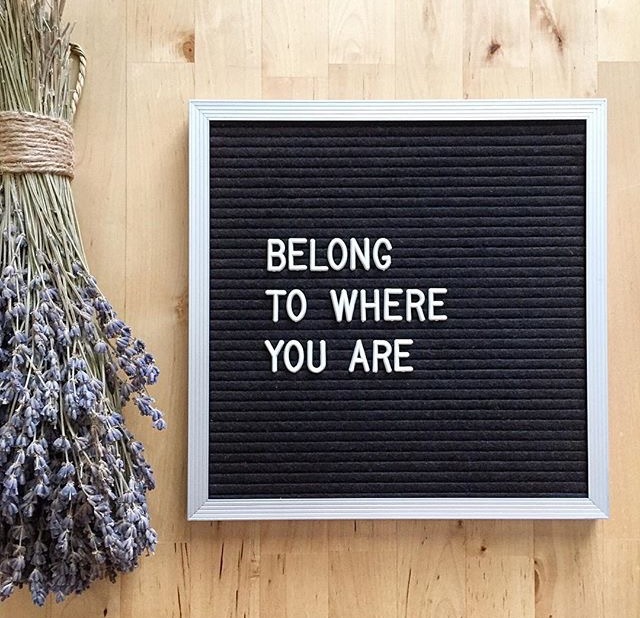 And wherever you are, belong to it. Take full advantage. Whether it be a high or low, it's all part of your make-up and your process. As always, I am praying for this community. For your hearts, your healing, and your future.